AUGUSTA, Maine ? State Archivist, David Cheever speaks to Ms. Gail Sisto?s 10th grade Social Studies class at Monmouth Academy on March 19, 2012.? 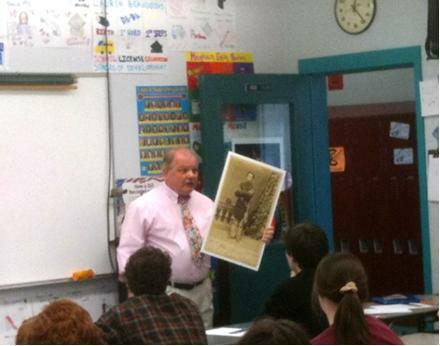 Mr. Cheever?s presentation focused on Maine's role in the Civil War and specifically on people from Monmouth and surrounding towns who were involved in pivotal events. The Sesquicentennial for Schools Program is part of an ongoing commemoration by the Maine State Archives of the 150th anniversary of the beginning of America’s Civil War.